An accurate asset register is the cornerstone of a company’s efficiency. Accuracy is best maintained by conducting a regular asset register stocktake. Through this process, a company is able to improve its financial planning, operational and maintenance planning, forecasting abilities and policy development. Regardless of the type of industry within which a company specialises, an accurate asset register will help instill confidence with budgeting and compliance procedures. 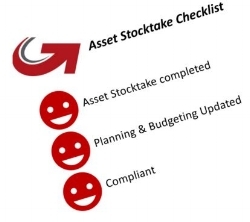 Below are a few key steps that can be taken to facilitate an asset register stocktake. Start the year off right, have an accurate asset base to plan and budget. Growing businesses that are frequently expanding into new locations or satellite offices should consider conducting asset register stocktakes immediately prior to the opening of each new office site. If possible, they should also conduct at least one more stocktake prior to the start of the next fiscal year. Similarly, organisations that have experienced constant flux, asset additions, disposals & transfers or high employee turnover may temporarily need to increase the frequency of stocktakes until order is restored. Smaller businesses or those which experience minimal flux, asset udpates, capital works or employee turnover may only need to conduct a stocktake once each year. The timing of a stocktake is important because the process must unfold as seamlessly as possible to prevent interruptions to regular business operations. Some companies prefer to halt the receipt or shipment of any inventory until a stocktake is completed. In these cases, it is wise to schedule asset register stocktakes during a slower time of the business year. Other companies find that it is helpful to schedule a stocktake at the start of the new fiscal and/or calendar year to ensure that the new year begins on an accurate note. If you wish to maximise the outcomes of an asset register stocktake, you should consider enlisting the professional help of an experienced asset management firm. Ideally, you should choose a company like us! Reduxo possesses expertise in physical asset audits and a track record of success with the reconciliation of financial challenges. Please contact us today to learn more about how an asset register stocktake or audit will benefit your business. Reduxo continually review our process and tools to ensure we are providing an unsurpassed project process with associated supporting solutions. It is exciting times, Virtual Reality is a technology that works in our space. Supporting Facilities Management is all about having access to accurate asset data. Virtual Reality assists facilities managers to manage their buildings in a new way! What if you could reduce the amount of time on site completing asset and condition inspections? What if you could revisit that same site when you again want to review an asset? What if you could measure and review from the desktop? What if you could apply a condition and record defects from the desktop? What if you could walk through your building in 3D? What if you could compare one inspection to another inspection? Well the answer is YES to all of the above. Ultrafast 3D mapping and visual documentation of buildings and their assets can provide accurate useable data for the lifecycle of a building allowing you to continually review and upgrade as required. · Measure dimensions of scenes or objects accurately. Our approach to the Asset Management Process is to document a workable solution to ensure all components of the lifecycle are captured to assist asset management professionals to manage their asset portfolios from 'cradle to grave'. Each component of the lifecycle is important to ensure assets are uitlised to their full capability as well as ensuring internal governance and accountability. Allocating asset management responsibility is the key to accountability and management of all components of the asset lifecycle. The responsibility of establishing and updating operational and financial systems must be clearly documented, implemented and monitored. An asset register stocktake is critical to ensure you have an accurate base, it is the foundation of any asset or facilities management system as well providing the information for both operational and financial decisions. Understanding the reasons will ensure you have a comprehensive up to date asset register as needed. It's easier to plan operationally and for expansion when knowing what assets are on site. The condition of each asset can also be explored to determine if it needs to be maintained or replaced. Knowing the quantity and location of each asset can also help to plan based upon whether it is available currently and/or you have enough for ongoing business and expansion. There may be a variety of compliance issues that you need to sort through and adhere to such as essential services, air conditioning to name a couple. The only way to truly know what has been maintained is to have maintenance records per asset based on a true and accurate register of what is on hand with a stocktake. To ensure you remain compliant, the stocktake should take place on a regular basis. It's hard to budget if you don't have an accurate asset register as a starting point. Without having a complete asset register stocktake or audit you cannot plan or create a precise budget. Furthermore, there is a balance sheet that needs to be maintained and reported as correct. Learn more about asset register stocktakes by contacting Reduxo. Technology has been improving drastically over the past several years. By using the latest technology within our operations, we have improved our ability to conduct physical asset audits in an efficient manner. Therefore providing a solid foundation to your operations and help with accurate reporting, maintenance and lifecycle costings. There's nothing more frustrating than when you get inconsistent data on a physical asset audit, it upsets all of us here at Reduxo! We cannot allow that to happen and we must ensure that each person is verifying assets and buildings in same manner. Otherwise it can make it difficult to get a realistic audit and establish the needs of the business. With technology, the data can be captured in a more consistent format. 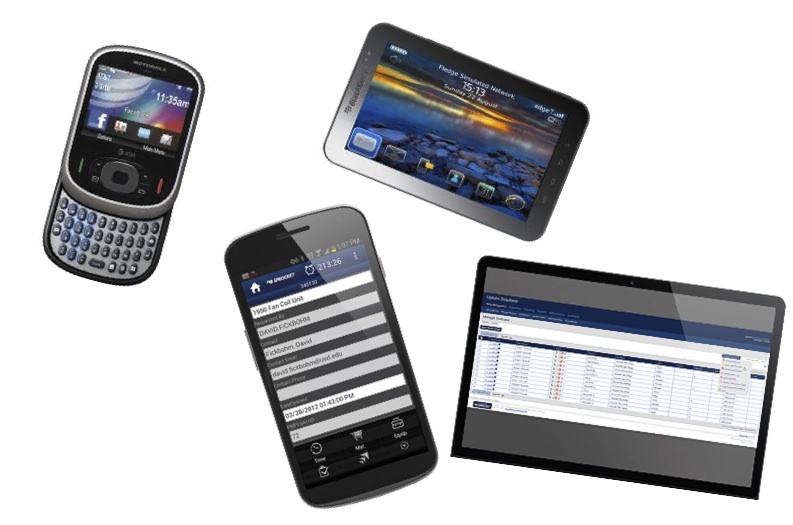 By using mobility for physical audits, it allows us to control the audit and the auditor out in the field. It ensures the data captured is fast, efficient and seamless for the auditor and ultimately for you. Our audit process has improved significantly by using automation. We eliminate paper and therefore human error. By setting up our audit forms with lists and tables, it speeds up the process and the quality of the audit data. We are obsessed by the detail and the consistency of our audits, that is why we make it compulsory for all staff to get out onsite or "back on the tools". Otherwise how can we ensure consistency and ease of use for the auditor??? That is the key to a successful audit. Problems occur with asset register stocktakes or audits every day and often this is because there is no efficient system in place or the time to complete the audit in a reasonable timeframe. There are tools and technologies that can be implemented to help avoid some of the most common problems. Audits are needed on a regular basis and when there are no definitive ways to take a stocktake, it can lead to lost assets. It may have been awhile since one was taken and therefore assets have moved, been retired into storage, or borrowed by another location. When everything is systematic and there are better processes in place, it can make it easier to identify where the assets are and what condition they are in. Try rolling audits. There's nothing more frustrating than getting an incorrect count. It may be as a result of not having a barcode or RFID to scan and therefore the counts are going to be off or the assets are misidentified. It's difficult to ensure different people count assets the same way every time and therefore a better system needs to be implemented. An asset register stocktake or audit needs to be the same regardless of who is conducting it, consistency is key. The problem is that different departments may be at different starting points and this can cause problems with reporting as well as from the operational versus finance standpoint. All of this can be eliminated with a stocktake that spans across the entire organisation in the shortest possible time. You can be sure that everyone is at the same starting point and that everyone receives updates when a a total stocktake or audit is taken. Contact Reduxo now to learn how to improve your asset register stocktake or audit. An assets devaluation over a fixed period of time is known as depreciation. For many mid-size and large companies, depreciation consumes a rather large part of their profit and loss statement. But what are the consequences if the planned depreciation doesn't balance with the actual state of your fixed assets? In other words, what happens when all doesn't go as planned? The most common type of depreciation calculation is the straight-line method. Let's say you just bought a new wheeled loader for $250,000 and you expect it to last for 10 years, at which point you think you can scrap it for $50,000. Using the straight-line method, the annual depreciation would be $20,000 ($250,000 - $50,000/10 years). While common, this calculation is also subjective. Both the service time maturity, as well as the future scrap metal value, are just educated guesses. A financial plan doesn't suffice in itself. The plan also requires a financial umpire, so to speak, as well. It needs someone who can double-check your data to ensure that the plan is working on a developing basis. The advantage of a rolling asset audit is that not only are your assets verified but it also verifies that your company is properly performing its maintenance as scheduled. In our example above, what if the loader wasn't serviced at the proper times and the environment was actually creating more wear and tear on the tyres than originally assumed? In other words, the loader's maximum lifespan is actually 8 years instead of 10. What are the consequences of such an error to the bottom-line? First, the financial standing of the company isn't accurate and needs adjusting. Second, when the unexpected depreciation of your asset increases, it adversely decreases the expected profit margin. Also, the company has probably been paying higher taxes than it would because, conversely, the greater the depreciation the less taxable funds are on the books. Finally, it's incredibly difficult for a company to ensure that the capital resources are available if decisions aren't made from accurate data. From both a financial as well as an operational perspective, it just creates a mess. The best advice is to augment your ERP system with an outside asset verification team. A company cannot make accurate long-term planning without also ensuring that there is a measure in place to track the status of your assets. Please contact us when you are ready to firm-up your data and we will work with you to ensure that an asset verification plan is in place for your company. Ongoing rolling audits may be something that you are unfamiliar with. You know what an audit or stocktake is and how effective they are for knowing what assets and goods you have at a particular time, but after a few months or a quarter or two those assets change and move again. An ongoing rolling asset audit keeps you up-to-date on all of this information. What is the point of figuring out how many assets or goods you have if you are not going to keep up with it after your initial audit? Think about it like this. It is a lot easier to clean your house once and maintain the cleanliness you have achieved rather than it is to do one major clean every year or two. By doing rolling audits every two to three months instead of once every year or two, businesses can save upwards of 30 percent. That is worth doing. Besides just saving money in the long run, performing ongoing rolling asset audits gives your operation accurate information to make better financial decisions with your assets which will either save you or make you more money. Ongoing rolling asset audits provide a clear sense of where everything is so when you need to utilise an asset you know exactly where it is. Having comprehensive knowledge on where assets are and who is using them ensures that you will be able to keep all of your assets in compliance with all the regulatory laws and rules pertaining to them. Keeping up-to-date information on the assets that you hold is very valuable. Contact us to learn more about the long-term benefits of ongoing rolling asset audits. How much confidence do you have in your enterprise asset management? Do you worry that you may not have an accurate asset register, and wonder how that could affect your organisation? Here are five ways an accurate Asset Register Stocktake can help your business. 1. Planning and budgeting: Having an accurate asset register can help you plan ahead for future purchases because you will know what you own, where they are and what condition those assets are in. This gives you the ability to budget for upcoming maintenance needs or replacement of assets. 2. Compliance and risk management: An accurate asset register will give you the ability to monitor your company’s assets and comply with your industry’s rules and regulations. It can also help you maintain appropriate policies to protect your staff from potential issues with unsafe equipment. 3. Improve the quality of financial reporting with better information about your company’s assets. You can gain confidence in your ability to report to the board accurately. 4. Achieve cost savings by identifying potential areas of misplacement, shrinkage, or theft. High quality information about what the company owns, and especially about how the types and value of assets change over time, can help you pinpoint areas of concern. 5. Increase efficiency and productivity by knowing where assets are located and how much of each you own. This will allow you to utilise these assets. These are just a few of the many ways having an asset register can make your business stronger and healthier. To learn more about how we can help your business complete a fixed or loose asset audit, please contact us. When scientists talk about the life cycle of an animal, they are of course referring to a general set of processes that varies from species to species. Snakes don't develop fur as they mature, and rabbits don't shed their skins; nonetheless, the term "life cycle" is used to predict the growth, development, and needs of both snakes and rabbits as they grow. Planning for the life cycle of your assets can be a lot like studying the life cycle of different animals. Just as birds and lizards develop differently than horses and fish, locomotives and excavators will require maintenance differently from buildings and manufacturing machines. Taking the individual life cycle needs of your assets into account is a crucial part of asset-centric maintenance, you need an accurate asset base to start. In this article, we'll discuss a few of the factors that you need to take into account when analysing your assets' life cycles. Location is a major factor that will affect the life cycle of each one of your assets. Machinery that operates outdoors near the sea, for example, will need to be maintained in a way that accounts for its exposure to salt air. Your assets' location will determine their levels of exposure to dust, humidity, extreme temperature swings, and other environmental factors which affect maintenance over their life cycles. As environmental factors differ between location, so will the life cycle needs of your assets. Another factor affecting the life cycle needs of your assets is the amount of work each asset is expected to do. Many industries have busy seasons and slow seasons. Some assets, like locomotives and other heavy machinery, will require more frequent maintenance during the former than during the latter. Other assets, like buildings, will likely require the same amount of maintenance no matter how heavily or lightly they're being used. It should be noted that your use of each of your assets will vary with market conditions; re-assessing this factor frequently is essential to smart life cycle asset management planning. Technological advancement is a third factor that will influence how you plan for the life cycle of your assets. In industries like mining and manufacturing, companies must adopt the latest technology in order to stay competitive in their markets. This frequently means that replacement or modification will be a large part of a machine's life cycle. Keeping an eye on the cutting edge in your industry's technology is essential to predicting when you will need to replace, upgrade, or otherwise modify your equipment. Sometimes, the job of asset management is similar to zookeeping. Planning on maintaining your assets over their life cycle is essential to keeping them up and running, and asset's life cycle comes with different phases and different needs. Keeping track of all these life cycles can be a daunting task; using an experienced asset audit team is vital to collecting and analysing the data involved with your assets' life cycles. Reduxo is here to help you collect the data that works for your company; contact us to find out more. Software Vendors and Services Providers need to look at how they work together. Instead of the traditional vendor/customer relationship, software vendors and service providers should be prospecting, selling and closing deals together. The mutual benefit unleashes ubiquitous paradigms to be exploited. Maximising innovative initiatives lead to long-term relationships not only for the software vendors and service providers but also more importantly for their joint customers. Organisations need to focus and concentrate on core business, this applies to both software vendors and service providers. Experience demonstrates that customers respect and engage with service providers who partner with software vendors for their expertise. Customers demand service at a competitive price but also expect leading edge technology. A good example is CMMS software vendors and facilities management service providers. Working together they can deploy distributed vortals and increase revenue and profit. Utilising best-of-breed web-readiness CMMS software solutions, FM service providers can concentrate on fulfilling their contract and extracting a profit. In fact there is an opportunity for FM service providers to generate revenue from CMMS licences. By providing real-time updates on jobs and live reporting via web based portals engages their customers. Minimal graphical live reports can be provided at no charge providing a hint to what is available. Gain sticky users, offer more detailed reports and charge accordingly. Unleash value-added deliverables; ensure the Facilities Service Provider can produce his monthly reports with no work on his behalf and charge appropriately. In this example, the Facilities Maintenance service provider may charge a Silver, Gold or Platinum service for access to live data. The greater the service, the higher the charge. The cost of the user licence to the Facilities Maintenance service provider remains the same; the CMMS software solution will be charging for management portal users at a set rate, the ongoing charge to the customer can be set by the Facilities Maintenance service provider. It allows the service provider to integrate out-of-the-box users to create revenue. This applies to all service providers whether Facilities or supporting other services such as maintaining mining equipment, heavy vehicles, communications gear. All asset centric support services. The benefit to the customer is transparency; they have access to data and reporting real-time. The benefit to the service provider is access to the best available solution in which to provide their services, a new revenue stream and customer retention. The benefit to the software vendor is increased user licences and customer retention. Deploying B2B synergies is beneficial to all involved. Trains are sometimes thought of as the technological ancestor of cars and trucks, but locomotives are considered more advanced than automobiles in a couple of important respects. Diesel-powered locomotives are far more fuel efficient at transporting heavy loads, and in some circumstances they can transport material more quickly than trucks or cars. The unique advantages offered by locomotives come with a unique set of challenges. If your company's operations rely on the availability of locomotives, then your strategy for enterprise asset management should include practices that account for your locomotives' needs. Fuel cost tracking is a critical part of managing any asset that depends on an engine. Although diesel locomotives are far more fuel efficient than automobiles carrying the same weight, it is still possible for a poor fuel tracking system to run up unnecessary fuel costs. In order to make the most efficient use of your fuel budget, you will need to have information about how fuel costs vary by season, location, and the types of engines that will be consuming the fuel. Current events and technological advances can also affect the cost of fuel, so you will need to keep track of these elements as well. Just like a good meal starts with good ingredients, a high-quality locomotive is built of high-quality parts. Vendor tracking is a vital way to make sure that you can always get hold of the right replacement part at the right time and at the right price. To get an accurate picture of which vendors can provide the best parts and services at the best times, you will need information about your company's past history with the vendor as well as information about the kinds of parts available from certain vendors and the shipping processes involved with getting these parts. In addition to vendor tracking, maintenance tracking is needed if you want to ensure that you always have the right parts on hand. Many companies are painfully familiar with the process of dealing with a locomotive breakdown, finding the right repair services and replacement parts, and getting the locomotive back in use. Planning on maintenance ahead of time can prevent these costly breakdowns, ensure that you have your replacement parts when you need them, and ensure that your trains have access to the best repair technicians available. Preventative Maintenance tracking involves gathering information about the condition of your locomotives' components, the locomotives' workload, the rate of wear and tear you can reasonably expect from certain parts in certain conditions, and the schedule of each locomotive's periods of use. Diesel may be enough to keep your locomotives' engines running, but keeping a whole company running requires a vast amount of information about important assets like locomotives. Every kind of asset has its own unique maintenance needs and ideal strategies for cost-effective use. A smart enterprise asset management plan analyses this information and uses it to accurately predict where money can be best spent in the future. 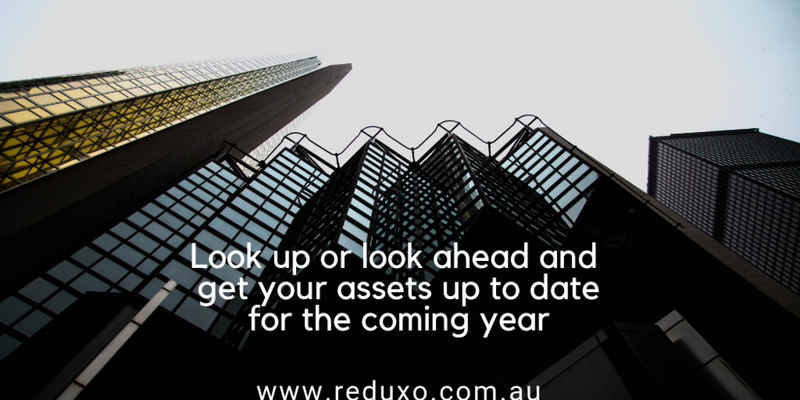 Reduxo is committed to making the process of enterprise asset management easier for businesses across Australia. Feel free to contact us with any questions you have about the ideal maintenance software and strategy for your company's assets. Above all, the right Computerised Maintenance Management Software (CMMS) platform will help to increase overall efficiencies throughout the warehouse or facility. In short, understanding how to use the CMMS modules will ultimately deliver a profitable outcome: accurate tracking of assets and preventive maintenance cycles translates to better profitability. A detailed inventory or audit of all the equipment and related apparatus helps prioritise what should be monitored in relationship to its role in reducing downtime. ‘Numbering’ by hierarchy, or by the importance of each items and part, is a common approach to implementing a CMMS program, including a bill of material (BOM) referencing all the tagged and numbered pieces of equipment. A schedule must be created showing which PM tasks should be performed and when. Will a given project require a different monitoring of assets? Too, will you be producing reports daily, weekly, etc. Again, use a numbering or barcoding scheme with detailed information about a part, including its warranty, location of spare parts in the facility (bin and aisle) and the vendor contact information. Key to any Preventative Maintenance and parts inventory program is availability when needed, where is that part? Moreover, are key people given access via mobility to find that part when critical maintenance need to be done? Moreover, with multiple locations, make certain procedures are consistent in each facility---are the parts named and numbered the same, for example? Keeping track of parts, issuing reports on critical equipment and their lifecycles is what Reduxo is all about. Contact us and let us help you in setting up your CMMS strategy. Almost every choice we make comes with an opportunity cost. The definition of Opportunity Cost as stated on Investopedia states "...the cost of an alternative that must be forgone in order to pursue a certain action." We are typically dealing with limited resources, and choosing to use them one way inevitably means forgoing the benefits of using them in the next-best way. If the opportunity cost outweighs the profits gained from using an asset in a particular manner, then your company is not necessarily losing money; however, your company is forgoing the opportunity to get more out of the asset. With the right data, you can estimate the opportunity cost of using your assets in a variety of ways. This will help you get a better sense of how much a project costs as well as helping you get more out of your assets. The first step in determining the opportunity cost of an asset is to identify its alternative uses. In some cases, that could mean the use of an excavator in one site versus another; in others, this could mean maintaining a piece of land or building versus renting or selling it. The more options you consider, the more accurate your assessment of your operations' opportunity costs will be. Next, you will need to valuate the alternative uses of your assets. In some cases, this data is best gleaned from your own records of similar assets' past performance. In other cases, this data can come from current research regarding different uses of assets similar to yours. At this point, you'll likely find that asset management software will come in handy for collecting data and presenting it in an easy to analyse form. Analysing the opportunity cost of alternative uses of your assets will help you make sure you're using them in the most efficient way possible. Once you've gotten a good sense of the opportunity costs involved with your use of your company's assets, it's important to keep this valuation up to date. Technological advances and other market events may change the value of alternative uses of your assets, resulting in dramatic increases in opportunity costs which you need to be able to track. Again, asset management software provides you with an efficient means of tracking the opportunity costs of the current uses of your assets. Staying competitive in almost every industry requires getting as much value as possible out of every asset. Recognising the opportunity costs involved with the way you use your assets is one step toward using them as efficiently as you can. Because collecting and analysing a great deal of data is important to calculating your operations' opportunity costs, asset management software is generally very helpful for this task. We at Reduxo recommend using Sprocket; its advanced reporting system can easily collect and manage the information needed to calculate and update the opportunity cost of your operations. If you don't have the resources to collect the initial asset information, we can assist with a physical asset audit. Reduxo provides best-of-breed software solutions and services, contact us for more information about Sprocket and other services we offer. Get the stamp of approval! You can't get the most out of your assets unless you know where they are, how they're being used, and what kind of condition they are in. Physical asset audits are an essential part of enterprise asset management, and the information in them must be up-to-date if your organisation is going to manage its assets effectively. Keep an eye out for these three events, which can throw your asset register off balance and require you to update your asset management information. Additions to your asset base can be a good thing, but when managed incorrectly they can also cause serious problems. If an asset is acquired through an improper procurement channel, or if somebody along the line forgets to record its addition, then you might not be aware that it has been added to your inventory. By making sure to adhere to addition policies and processes and update your asset management information whenever items are added to your inventory, can avoid purchasing the same asset twice because of mistakes like these. Disposals are another event that can throw your asset management data out of whack. Failure to properly track disposals can lead to an asset being unavailable because someone mistakenly thought it was still available. The resulting asset shortage can result in embarrassment as well as costly delays. You can be sure that assets are replaced after their disposal by updating your asset management information whenever an asset is disposed of. Transfers of assets, especially between far apart work sites, are a third event which must be promptly and properly recorded. A large part of asset management is ensuring that assets are placed at sites where your organisation can get the most out of them. This is most effectively done when you know exactly which assets are at which site or in which department; it is very easy to skew this vital information by failing to record asset transfers promptly and accurately. The best way to keep your organisation's physical asset management information up-to-date is to perform physical asset audits on a rolling basis. Not only is the audit process itself more cost-effective to conduct frequently rather than once every few years, but the data the audit yields will also be of higher quality and the basis of good asset management. Reduxo specialises in providing rolling physical asset audits; contact us to find out how we can make the process easier and more efficient for your company. What Does it Mean to Put the "Asset Centric" in "Asset Centric Maintenance Software" or Enterprise Asset Management (EAM)? At first glance, it might seem like all asset maintenance is asset-centric maintenance. After all, if it weren't for having the asset in the first place, you wouldn't need to be maintaining it at all! When we speak about asset-centric maintenance as a distinct kind of maintenance, we aren't really talking about the maintenance you do when you need to modify this machine or repair that building. Rather, we're talking about an overall asset maintenance policy that helps you plan the maintenance of your assets before it's needed. Asset centric maintenance can be distinguished from reactive maintenance. Many companies are familiar with this type of asset maintenance, where assets are modified, repaired, or replaced once they start to become a problem. You might think of it as a model where your company's assets must be adapted to fit your company's schedule. While this works well enough, anybody familiar with reactive maintenance can attest to the time, resources, and frustration involved in reacting to unexpected asset failures. Reactive maintenance focuses on your company's scheduled plans, and tends to view asset failures as events that disrupt the schedule. Asset centric maintenance, on the other hand, acknowledges that each asset has a schedule of its own. Like a car that must get routine maintenance every 5,000 kilometres, each of your company's assets has an ideal schedule of repair, modification, and replacement. This schedule begins during the asset's design process and ends when it is sold or decommissioned. Coordinating the asset's ideal schedule with your company's ideal schedule can result in a much smoother, less frustrating asset maintenance process. Your company can plan for maintenance costs well before they are incurred and can prevent costly problems with forward-thinking maintenance policies. Well-maintained assets break down less frequently, and when they do, they take far less time and effort to repair than assets that are maintained through a reactive strategy. Going with an asset centric maintenance policy can lengthen the productive life of your assets and eliminate most of the cost, hassle, downtime and unpleasant surprises that come with reactive maintenance. However, this is much easier said than done without asset centric maintenance software. Many companies that would benefit a great deal from asset centric maintenance have a large number of assets across several or many locations. Manually processing the data involved in determining the ideal schedule for each of your assets can be time-consuming, costly, and ultimately ineffective. Think of asset centric maintenance software as an intimate friend for each of your assets--it knows each asset's history and weaknesses, and it uses this information to determine what the ideal schedule will be for each one. Good asset centric maintenance software will track needed repairs, completed repairs, and part replacements while forecasting your assets' future needs. It will let you automate much of the work involved in asset centric maintenance, and it will let your company customise it to suit its individual needs. Reduxo is pleased to offer maintenance software that puts your company's assets first so that you can focus on your core business to stay competitive. Contact us to find out more about programs like Sprocket that help you harmonise your assets' schedules with your company's schedule. The marketplace is a constantly shifting environment, where survival requires the ability to adapt quickly and adapt well. 2013 saw more and more companies using tools like big data analytics or business intelligence to measure where they stood in their marketplace and how their customers went about making purchase decisions. The reason for collecting and analysing huge amounts of customer data is simple--the more one knows about the demands of one's marketplace, the better one can adapt their business to suit those demands. While measuring data generated by customers is certainly important to a company's strategy, it's also essential to keep track of data regarding internal processes. This is especially true of companies in capital-intensive industries like utilities, mining, IT and manufacturing, where a company's assets are a large part of what makes it function. For these companies, enterprise asset management is not just a way to minimise the overall cost of owning an asset: it's a way to collect important data that shows how a company is standing up to market demands. Like the reams of data generated by customers, collecting and analysing the data involved with a strategically sound enterprise asset management policy comes with its challenges. Effective enterprise asset management requires frequent and accurate stocktaking, which is both laborious and nearly impossible to accomplish with paper records systems. Like the companies that require giant data warehouse systems to analyse customer data, companies that benefit from enterprise asset management require well-designed software and electronic asset tracking systems to minimise errors and speed the process of stocktaking. Investing in an effective enterprise asset management policy is one step a company needs to take in order to adapt to the demanding environment of the marketplace. Strategically sound enterprise asset management can be a challenge, and your company may well find it most economical to bring in a team of experts from time to time when asset data must be collected efficiently. Reduxo specialises in efficient, effective enterprise asset management; contact us to find out more about how we can help your business adapt. In order to manage your company's assets effectively, you need to keep abreast of what they are, how they're being used, and how much value they have to the company. As the march of time increases the value of some assets--like land and buildings --it decreases the value of others--like plant and heavy equipment. Designing sound fixed asset verification policies and executing them frequently is the key to making sure you always have accurate information about your company's assets. One key to a good asset verification policy is an effective labelling system. Barcoding technology has revolutionised the asset management process in recent years; although it has made asset stocktakes or verification easy in many ways, it has also made durable, highly visible labels more important than ever before. All the barcode labels on your assets should be printed on quality materials applicable to the environment, and make sure labels are adhered consistently and in easy sight of auditors . Another key component of an asset verification policy is a system of streamlining which takes human error out of the equation whenever possible. Even with the best computerised systems in place, fixed asset stocktakes are a labour intensive process. Automating when possible and bringing in specialists to streamline the asset verification process is a great way to give you some much-needed peace of mind and allow your employees to continue to do their core jobs. A great asset verification procedure is not only accurate and streamlined, but can also be carried out several times a year, we call this rolling fixed asset audits with the ability to capture additions, disposals and transfers. With all the great asset management software available today, there is no reason for a business to put off fixed asset verification until the last second. This process is important to keeping your company's bottom line healthy; the more often it is done, the simpler it is. Reduxo will be happy to help you streamline and improve your asset verification process. Contact us to find out more about the particular tools and services that work best for your company's asset verification needs.